There is no title attached to the glass plate negative from which the historic image was made. 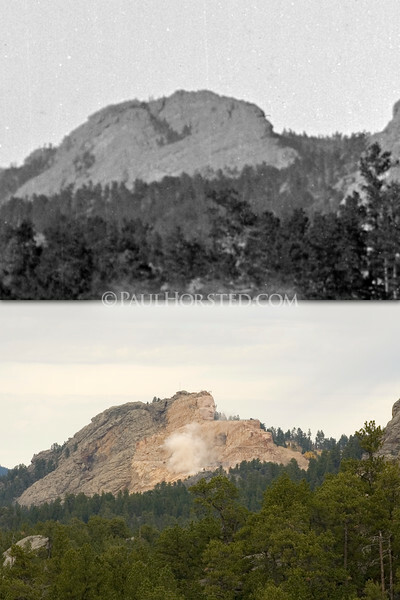 But it is, at this writing, the oldest known image of the mountain that would later become Crazy Horse Memorial, seen in the new image following a blast during the carving process. Sculptor Korczak Ziolkowksi started carving the mountain in 1948. Although he died in 1982, his wife Ruth and their family continue to guide the work on this impressive mountain sculpture that commemorates the spirit of the famous Lakota Sioux leader and his people.